Born and brought up in the City of Joy, and being a shopaholic by nature, there are very few stores or shopping haunts in the city that I don't know about or haven't been to. Hence, when enSoie held a blogger's meet in association with Pen Twister and invited us over for celebrating their first anniversary in the city, I was pleasantly surprised to find myself in a store that was as beautiful as it was exciting with a diverse range of products from clothes and accessories to home decor and gift items. A Zurich-based company, that opened its first Indian store in Kolkata, enSoie is an international fashion label that is renowned for its quality, cuts and craftsmanship. 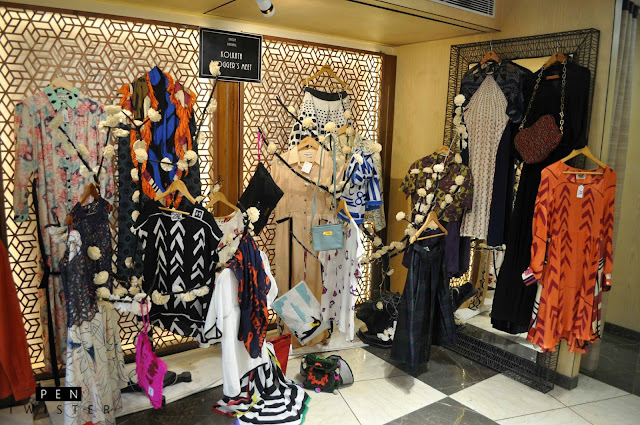 The collections scream of Swiss inspirations in the form of bright colors, Nordic patterns, abstract motifs and an abundance of Ginghams everywhere! 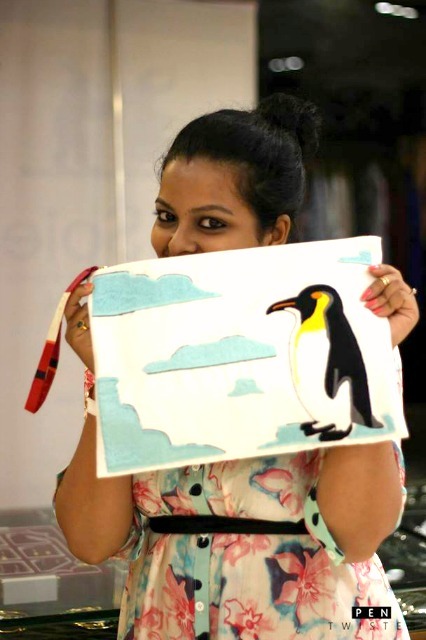 Radhika Joshi is the young entrepreneur who handles the enSoie Kolkata store, alongside running her own fashion label Ornaete. A spunky, enthusiastic woman, Radhika has big plans for enSoie and Ornaete in the years to come. 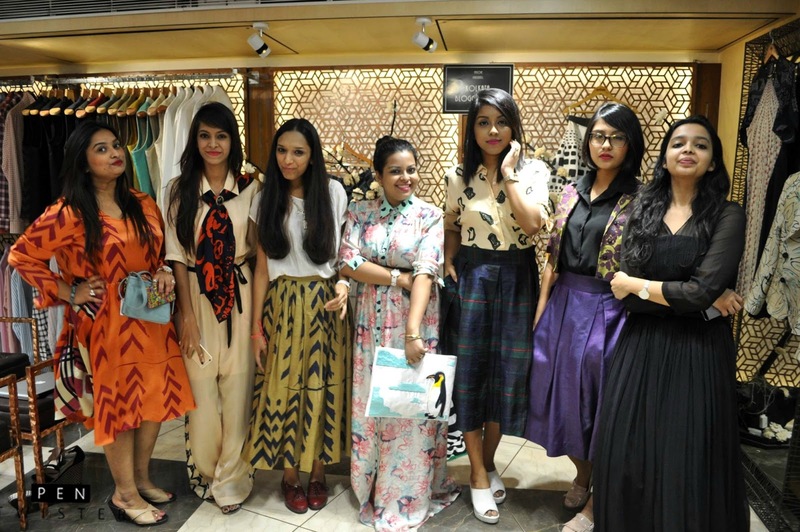 She aims at making enSoie a must-visit shopping destination for the city's fash-frat and works hard towards achieving that goal. The results, well....it was all there for us to see! 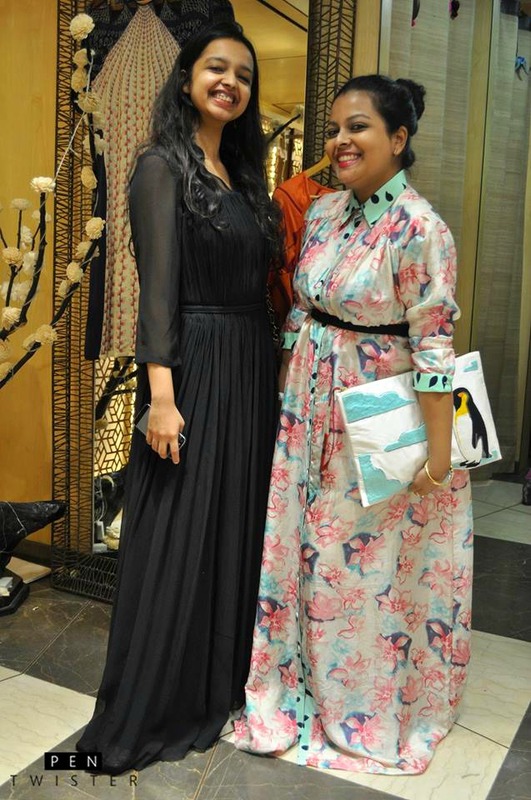 Our very own city blogger Nikita Agarwal of Pen Twister did a fab job in co-hosting the meet with Radhika of enSoie. The activities, the arrangements and the attention to each & every detail made this meet quite an enjoyable experience!! 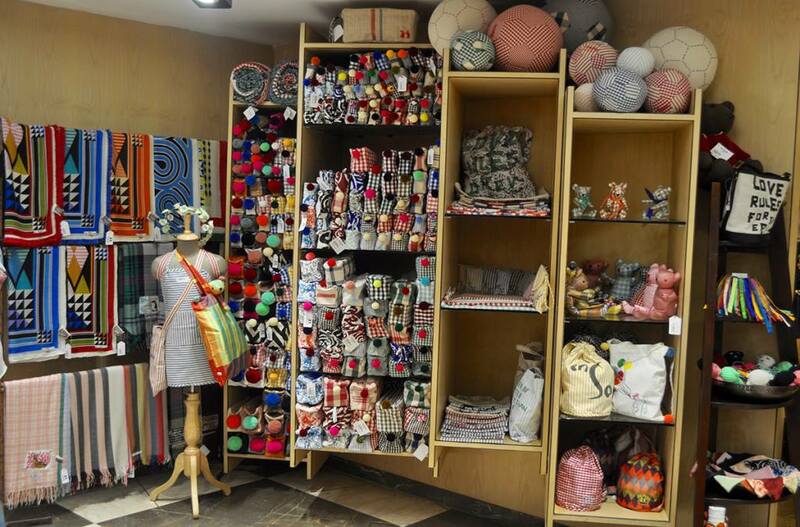 And with the festive season on in full swing, all you Kolkatans, do drop in at enSoie on Elgin Road (near the Elgin Road Post Office crossing) to give your wardrobe and home a fashionable makeover! On another note, HAPPY DUSSEHRA to all my fellow Indians!! May good always win over evil and may we be able to make this world a better place to live in, not only for ourselves, but for everyone! Now that the Durga Puja/Navratri festivities are over, let's start preparing for Diwali!!! Cool! You all look gorgeous. I loved that clutch. u look absolutely charming Anupriya! 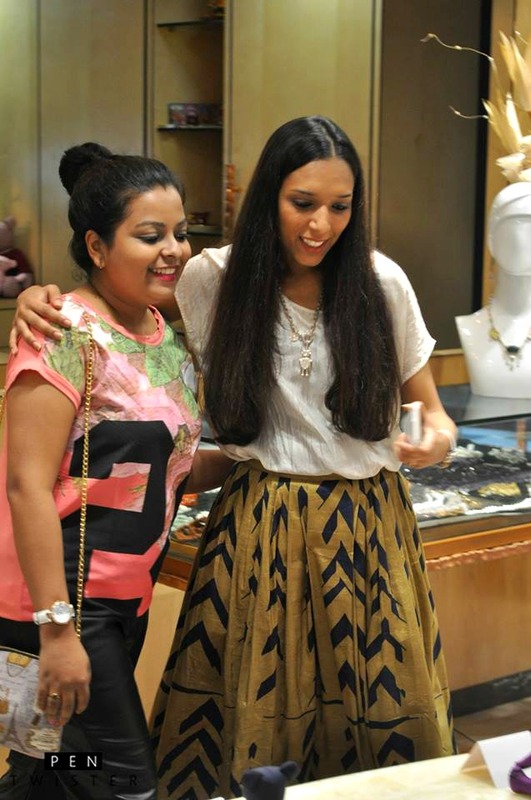 I love what you are wearing Anupriya! 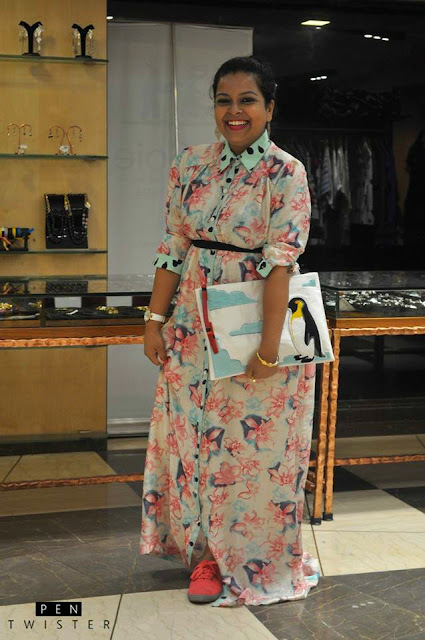 I love the penquin clutch...its so cute.